Who’ll be the first manager to get fired? Could the sack race be won by Mark Hughes, as his Southampton side have won one game in six and conceded five goals in their last two? Or perhaps it might be Jose Mourinho as the trials and tribulations of being the Manchester United manager continue, having drawn 1-1 with Wolves and been knocked out of the Carabao Cup? Maybe even Neil Warnock, with no funds available, could be for the chop as his Cardiff team search for that first win and are reminded about the danger of relegation daily? Personally, I fear I would have been given the sack from my own FPL team by now this season, had there been a board overseeing my performance! A wildcard in the last gameweek seems to have stopped the rot and so there are hopes for green arrows in the coming weeks and maybe a bit of a relief from the pressure at least! But then, this season has so far been pretty unpredictable. Whilst teams like Man City and Liverpool have started with all guns blazing, which is a tradition when it particularly comes to the Cityzens, Chelsea’s old guard have started playing again now they’re rid of Conte. Then there’s the likes of Fraser, Mane, Hennessey, Hart and particularly Mendy – before his ‘injury’ at least – who have outplayed many managers’ expectations, whilst picks like Salah, De Gea and Neves haven’t quite had the campaign like they did last season. Yet. Following on from AT’s excellent fixtures article, it makes sense the first choice is from one of his highlighted teams. 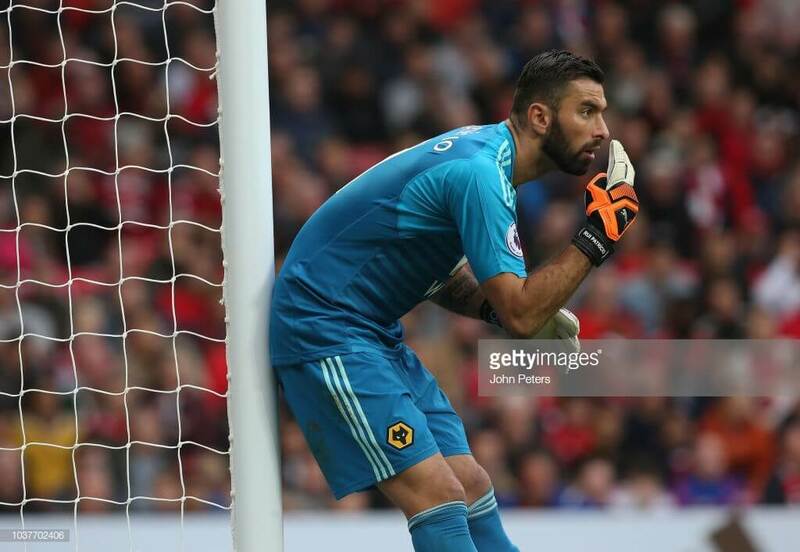 Wolves’ Patricio has rewarded managers who have had the patience of keeping hold of him from day one, as the first gameweeks of two, one and three points have then been followed up with six and seven – and a three-pointer away at Old Trafford, leaving the Portuguese fourth on the goalkeeper form table. In the case of the trip to Manchester United, the team from the Midlands pulled together fantastically as Nuno Espírito Santo’s tactics worked out perfectly and you could argue they were unlucky to come away with only a draw. Looking ahead to this week, Southampton face a trip to Molineux and it’s hard to see past a favourable result for the home team on the basis of the last three league games which have included two clean sheets. The £4.5m player faces a squad who have only scored six in as many games so far this season and, after that, goes on a trip to Crystal Palace who, despite their place in the table, have a meagre record in front of goal as well, with only four so far. Watford then come to town, who may be a bit more of a challenge if their recent games are anything to go by. Talking of the Hornets, they’re the team my next pick is playing against this coming weekend. Petr Cech has finally landed his first clean sheet of the season, earning all three bonus points in the 2-0 win over Everton as Richarlison made his return after suspension. The £5m shot stopper may have conceded nine already this season, thanks to a rather disjointed defence in front of him, however he too has some great fixtures coming up and I believe the lack of conceded strikes against the Toffees will be the first of a good few now. Currently placed higher than Arsenal in the table, Watford rued their missed opportunities at Craven Cottage and so there is a clean sheet potential there. After that, it’s a short trip west to face Fulham themselves – who they have beaten in the last three meetings – and then Leicester are next in line to come to north London. My final goalkeeper pick is another cheap one, which is odd to say when you consider it’s the old favourite Joe Hart. He leads the way in the form stakes, with 6.0, after highlights including nine points in the 4-0 thrashing of Bournemouth and 10 points in the 2-0 loss against Man United after saving a penalty and collecting two bonus at the same time. Indeed, the Cherries would have easily got onto the scoreboard if it wasn’t for the Shrewsbury man’s excellent form to keep them out. Costing just £4.5m, he is making the trip into Wales to face a beleaguered Cardiff side which could also present great clean sheet potential as the Bluebirds are tied with Huddersfield in the dubious honour of scoring the least goals, with just three all season so far. Funnily enough, it’s the Terriers who are then next up for Joe and co back at Turf Moor the next week. Will he be rotated? 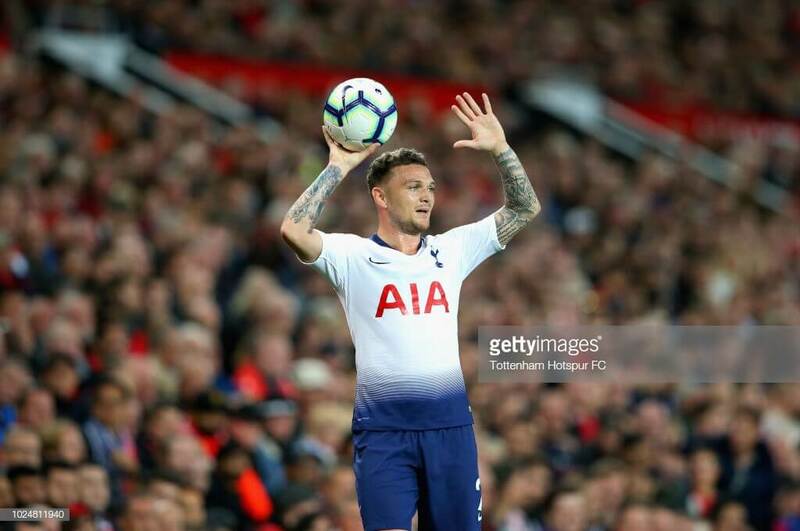 Well, I can’t say for absolute certain, but if you’re prepared to take the risk, £6m Kieran Trippier could very much reward those who dare. The Spurs man should hopefully be buoyed by the return of Hugo Lloris as the Frenchman’s stand-ins failed to keep a clean sheet, with Michel Vorm’s time between the sticks particularly forgettable. Whilst a clean sheet wasn’t recorded against Brighton, thanks to the Seagulls’ last minute goal, the England maestro still managed an assist which was his second of the season already. It seems a long time ago already, but this guy has also scored against Fulham in Gameweek 2 and so it’s fair to say the form and the threat he enjoyed for England in the World Cup hasn’t exactly faded away. Going into this gameweek, the Bury man is facing a Huddersfield side who, as you’ll already have read, aren’t exactly prolific when it comes to scoring goals and are equal in Cardiff in having picked up the ball from the back of the net a whopping 14 times in six games already. The lad, who hails from just down the road, could very well have a field day, you could argue. After that, Neil Warnock’s men are in fact the next team faced, back down in London town, whilst a trip to nearby West Ham follows that. Also offering good attacking potential – albeit for £1.6m less – is my next pick, Matt Doherty. The Wolves right back was rewarded for his effort in the home win over Burnley as he assisted and kept a clean sheet – picking up three bonus points along the way. It was a long time coming after he was unlucky to register an own goal in the 2-0 loss at Leicester. A clean sheet and only conceding one goal against the two Manchester clubs are also things for him to boast and the match against Southampton this week could also add to his own personal hall of fame as Wolves show themselves to be worthy Premier League opponents. At £4.4m, he’s a bargain for points potential, especially when you consider it’s Crystal Palace, Watford and Brighton the boys in gold will want to pick up points against before the harder games come back around. Talking of choices light on the wallet, don’t forget there is also Matt’s colleague, Ryan Bennett, who costs just £4.1m and – unlike a lot of players around that price – he has also played all 540 minutes so far. That’s on the presumption you already have Crystal Palace’s Aaron Wan-Bissaka, of course, who continues to be a magnet for the bonus points. Looking at Man City’s defence following the Mendy injury, there will no doubt be a good few managers who will be looking for a replacement of the Frenchman within the same team – until more concrete news from the Cityzens boss is available, at least. Well, it’s always hard to predict who will start in Pep’s side week in, week out, especially when you consider European matches, but two players to have a look at are Kyle Walker and Aymeric Laporte. They cost £6.5m and £5.6m respectively and the ex-Spurs man has played 450 minutes, while the former Athletic Bilbao player has been involved in all 540. 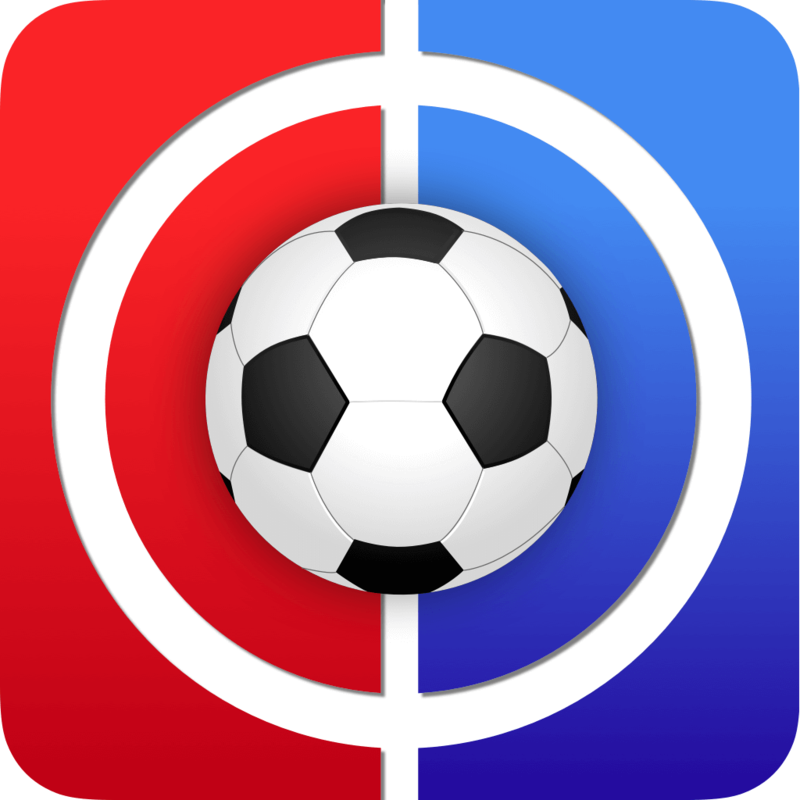 Brighton come to town this gameweek which will be only the third time the two sides have met in the league since they were both in Division 2 back in 1989 – and the previous two times have unsurprisingly been wins for the lads in Sky Blue. Just be aware of the following match when Man City travel to Anfield, but then there is a game against Burnley at the Etihad afterwards. Back in the 90s, there was a song by Madison Avenue called Don’t Call Me Baby. Whilst that song is often the first thing I think of whenever James Maddison comes into my head – it was a classic after all – the lyrics of a disgruntled person let down by what could have been could also be appropriate if you don’t have this guy in your FPL team. Now the fifth-highest scoring midfielder, he registered his first goal of the season in Gameweek 2 before drawing blank in the next game against Southampton, of which he only played 77 minutes. 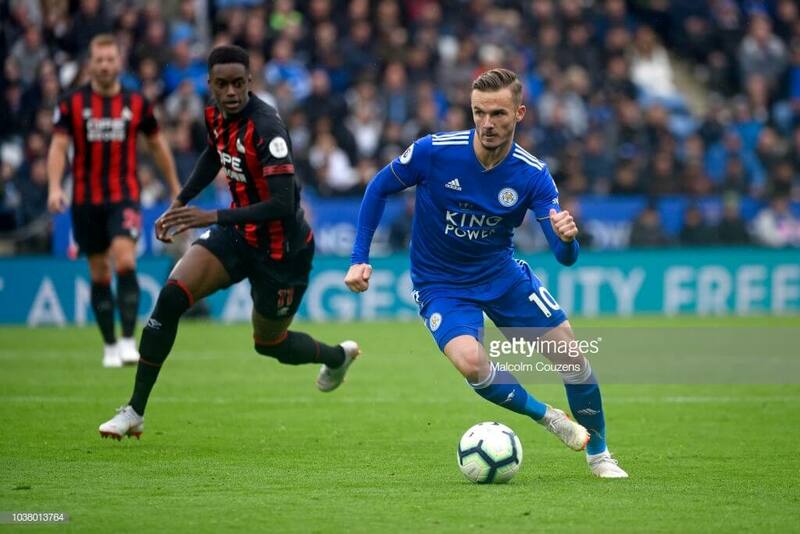 Since then, however, the last three games against Liverpool, Bournemouth and Huddersfield have seen two goals and an assist in total, showing he’s acting as a great replacement for Mahrez for the moment, at least. Looking ahead, a trip up to Newcastle is on the cards, where the Foxes have been victorious over the Magpies in all but one of the past six meetings, putting 12 goals past them in the process. After that, Everton are the visitors to the King Power Stadium, who are yet to register a single clean sheet so far, having shipped in 11 goals in just six matches. It doesn’t take a mathematician to realise that’s almost two a game and this £6.7m player could well be among any future goals. Ryan Fraser was always going to blank in the next game after he racked up 18 points against a below par Leicester, wasn’t he?! It was the turn of Burnley to produce the surprise result this time – though, according to the EA Sports statistics, that still didn’t stop the Scot from creating a threat almost as high as the match where he was so prolific, even if he didn’t find the back of the net. Along with the great form of three goals and two assists so far this season, the player also has two key factors that make him very attractive in FPL – a cheap price tag of £5.8m and some excellent fixtures ahead. Crystal Palace and Southampton are the next two teams to travel to the Vitality Stadium, with trips to Fulham and Watford also on the horizon. November and the start of December do look to get very challenging in comparison and so, perhaps, savour the good times. Whilst he may not have made the return many had hoped, as Everton went down 2-0 away at Arsenal, Richarlison is very much a player I can’t bring myself to ignore after the three goals he scored in the two games before that game at Bournemouth. Still £0.1m more expensive than day one, but £0.2m cheaper than he was the moment he saw red, the player faces Fulham this week. Like the team the Brazilian plays for, they are yet to register a single clean sheet so far this season – unless you consider the 2-0 win over Exeter City in the Carabao Cup – and have the second-highest amount of goals conceded. In fact, the Toffees have put 15 past The Cottagers in the past six games and so a good opportunity is there for Richarlison find his scoring boots once again. As previously mentioned, Everton face Leicester a week later and then Crystal Palace make the trip to Goodison Park which finished as 3-1 to the hosts, the last time the two sides met back in February. On the presumption nothing untoward happens to him in the first of two Chelsea versus Liverpool fixtures this week, as they play each other in the Carabao Cup on Wednesday night, my final midfielder pick is Eden Hazard. Sure, the two teams meeting again in the Premier League is probably not going to be a walk over for either, but you can’t look past the Belgian’s form leading up to the blank he suffered against West Ham. To be fair, lots of people predicted that, as the Hammers do like to bother to play well against teams like Maurizio Sarri’s men. Even against Liverpool, the £10.9m player has managed five goals and two assists. Currently leading the way in points and form, the man who was almost attracted by the bright lights of Madrid has less formidable opposition in Southampton in the next fixture. This is another team he also has a good record against, having found the back of the net five times and set up four over a 13-fixture spell. Funnily enough, the next squad to come to Stamford Bridge, Man United, have also conceded the same amount of goals over the same amount of games. 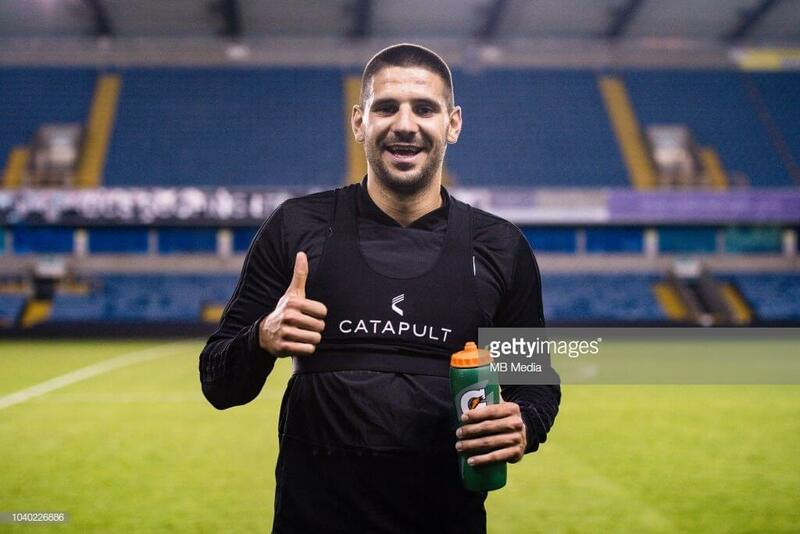 Proving his price tag is not reflective of a one game wonder, Aleksandar Mitrovic leads the way in this week’s selection, having scored five and assisted one in just six games. The now £7m striker, who has gone up £0.5m in price since day one, immediately rewarded managers such as myself who had been slow on the uptake and brought him in before the Watford game that kicked off Gameweek 6. It could be argued he should have scored more than the eight points he did, had he converted a few more of the efforts on goal he had. As previously mentioned, Everton are not particularly good defensively at the moment and, whilst the Toffees do have the history of being victorious in previous meetings, the Serbian footballer is bound to get onto the score sheet in what will only be the third time he has played them, having suffered defeats when playing for Newcastle. Next up is one of the many London derbies this season as Arsenal come to town, before a trip to Cardiff that could prove to be extremely lucrative when it comes to goals or assists. Ah, if only Sergio Aguero had done more in the kick about that was the 5-0 demolition of Cardiff City. 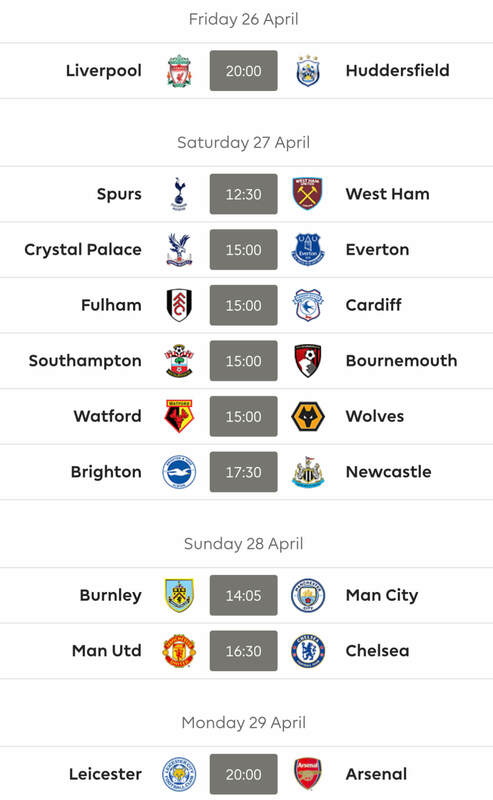 I’m sure a lot of FPL managers who had been away from their phones or computers over the duration of the 3pm kick offs saw the final score and thought their luck was in. “Surely Sergio has bagged a hat-trick from that?! It’ll be like Huddersfield at home all over again and I’ll be flying up the leagues, waving the middle finger to all those who picked Salah as captain! Suckers!”. Sadly not, for it was just the one goal our Argentine friend scored and, thanks to the antics of his replacement, Mahrez, who went on to score twice, no bonus points were in store for him either. At least Pep was kind enough to take him off on the 60th minute mark and no earlier, anyway. It’s about time the Man City manager gave FPL managers a break. And after looking at the odds on a home win and OLBG.com’s football tips it looks about as big a banker as you would possibly wish to see. Anyway, looking ahead to this gameweek and I know I won’t be able to look past this guy for the captaincy once again as Brighton make the unenviable trip to the Etihad. This is a fixture that ended 3-1 in the home side’s favour the last time they met, which Sergio missed through injury. With one goal in one appearance against the Seagulls – one of the two goals in the 2-0 win that was the reverse fixture at the start of the season – I’m sure he’ll be wanting to make up for lost time. After that, it’s a difficult trip to Anfield and then respite before playing Spurs comes in the form of Burnley at home. My final pick is a player who has been given the nickname ‘Lacagoals’ and also ‘Lacaboss’, depending how he has fared, so hopefully it’ll be the more positive of the two names when I choose Alexandre Lacazette. After a very poor start to the season, where he played only 96 minutes in three games – which, admittedly, did include an assist – the Frenchman’s season really kicked off in Gameweek 4 when he registered a goal and assist in the 3-2 victory over Cardiff. Managers who had stuck with him through those dark days were then further rewarded when the ex-Lyon player assisted against Newcastle and scored against Everton in the 2-0 win. Arsenal have some very good fixtures coming up, starting with Watford coming to town this gameweek. Whilst the Hornets have been excellent so far, riding high in fourth place with only five goals conceded, the £9.4m forward could once again grab the points for you. In fact, the Gunners have managed to score 12 in the last five games against the lads from the other side of the M25 – not bad considering two of those fixtures were losses as well. 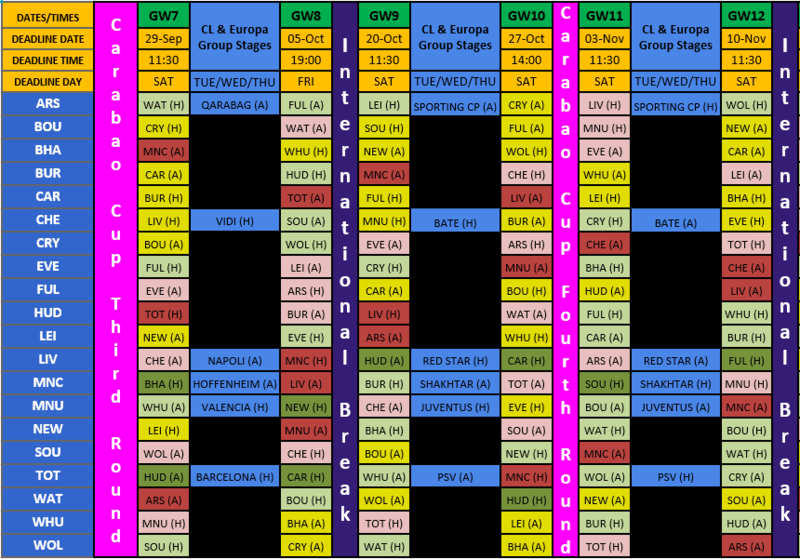 The good games then keep coming, with Fulham, Leicester and Crystal Palace on the cards afterwards. Gets three points. Oh well…..